I attended the annual conference of Indian IT giant Infosys in San Francisco in April. The keynote speaker was former US vice president and environmentalist Al Gore, who spoke passionately on climate change. While Gore’s message was compelling, what held my attention throughout the conference was hearing about the potential of our burgeoning generation of millennials and their impact on grassroots innovation. In 2000, researchers Neil Howe and William Strauss published Millennials Rising: The Next Great Generation. They defined the millennial generation as those born between 1982 and 2004. 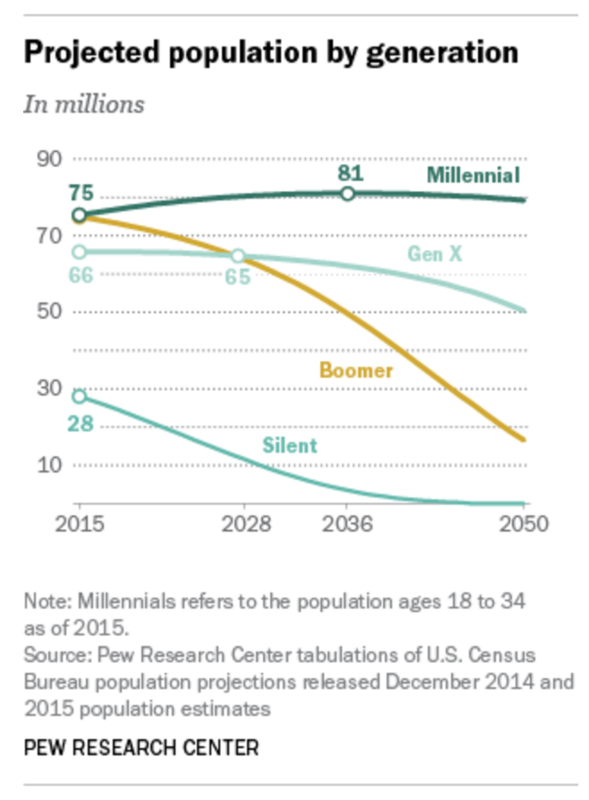 Now, millennials are probably the most studied and talked-about generation to-date. They are the first age group to have grown up immersed in a world of digital technology. And they have embraced it like no other generation. Technology has shaped their identities and political, social and cultural attitudes. For instance, the millennial co-founders of Airbnb Brian Chesky, Joe Gebbia and Nathan Blecharczyk have built a hospitality business currently valued at more than $25bn. Similarly, Cheng Wei and Zhang Bo, co-founders of China’s biggest ride-hailing app Didi Chuxing, have built a transport platform that has some 14m drivers and is completing 11m rides every day . Didi claims it has more than 87% of the market for private ride-hailing in China , and recently attracted additional capital of $1bn from Apple. In his address at the Infosys annual conference, the firm’s CEO Vishal Sikka discussed the concept of ‘zero distance’, which he described as staying close to the customer, understanding his or her needs and desires and ensuring disintermediation. This was corroborated by Sandeep Dadlani, Infosys President and Head of the Americas, who used the following anecdote to explain zero distance: humans went to the moon before we put wheels on suitcases. But it took another 17 years to add two more wheels, and then 17 more years to put on a telescopic handle and make a suitcase rotate 360 degrees. This happened because a pilot went ‘zero distance’ – where the rubber meets the road – to get to the desired innovation point. What do I mean by grassroots innovation? There’s a story about a company that manufactured and sold baby food that had one sales team made up of young rookies, who were not particularly well regarded and also had the worst patch. But they kept busting their targets. In fact, there weren’t that many babies in their territory as it was an area typically inhabited by pensioners. Instead, there were plenty of elderly care homes. Nobody bothered to ask them about their formula for success. It turned out that the old people in their patch, many of whom had lost their teeth, were the ones consuming the baby food, and therein lay a spontaneous, innovative idea. Could the company have used this discovery to strategically diversify their business by specializing in food for the elderly? Leveraging new ideas within the company to amplify breakthrough discovery is what constitutes grassroots innovation. Education is the bedrock for thinking in an organized way about creativity. However, articulating the problem is half the solution. New and innovative ways of doing things can come from unexpected sources, not least the current generation of millennials. The core medium for education in the workplace is story-telling, a time-tested way of passing the culture of a company on to future generations. While the ‘elders’ in the company are trusted custodians of ‘how things are done’ and mentor the young rookies, it must also work in reverse, where millennials are engaged and have a voice at the highest levels in the hierarchy. The elders may know where we’ve come from, but it is the millennials who can suggest where we should be heading. I personally have two ‘reverse millennial mentors’, my son, Omimi Okere, and my digital media assistant David Afolayan . They have played a key role in my belated online presence and motivated me to launch my blog, austinokere.com . I sit on several executive committees where many old ideas are constantly recycled and there are few young people with fresh ideas in the room. The danger here is the dinosaur effect. We keep listening to the same cassette with our best songs, while losing touch with new music and new genres. In the end, the company perishes from lack of innovation. As the sun sets on old ways of tacking social problems, millennials may be the ones to save us from our broken socio-economic system. They possess the attributes of 'tri-sector athletes' ; individuals and organizations that nimbly cross traditional spheres of influence to translate and broker different institutional thinking into private-public, government-civil and civil-private partnerships and solutions. Their careers typically straddle sectors, defying labor market silos, and thus enable them make the necessary linkages. My advice to organizations is to reinvigorate their workforces with millennials. And above all, give young people the freedom to engage in ‘innovation blitz’, where they can fail without fear of punishment, and where failure is regarded as part of developing experience, culminating in the generation of fresh ideas that will lead to the continued sustainability of enterprises.